Emergency officials in Iran said a minibus carrying elementary girl students crashed on Thursday, leaving 20 injured. Alipourian, an emergency official in the city of Fasa, south-central Iran, announced that 20 elementary schoolgirls were injured when the minibus on the way back from a school camp collided with a Pride, the country’s most popular car. Three passengers of the Pride have died. While the Iranian regime spends billions of dollars on the wars in Syria and Yemen, and on missile tests and terrorist activities, little budget is allocated to the country’s infrastructure and education while accidents essentially caused by a lack of funds continue to take toll in Iranian schools and universities and on the country’s roads. In yet another tragic case in December 2018, 10 students including four female students were killed and 27 others injured after a bus overturned on the campus of the Sciences and Research Branch of Azad University in Tehran. 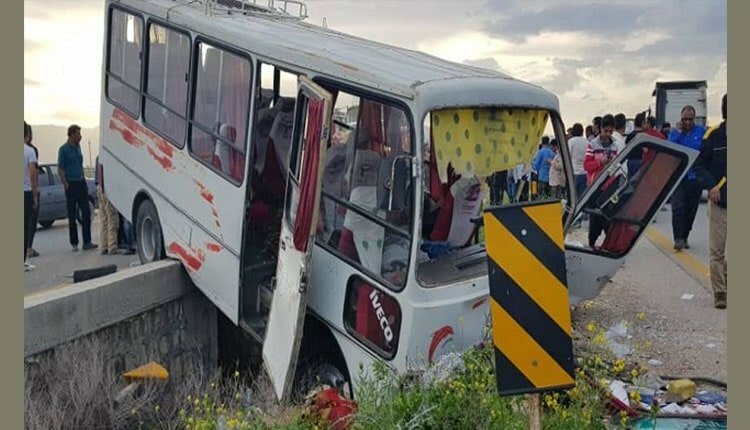 In October 2018, a bus carrying girl students to a compulsory camp, called Rahian-e Noor, crashed on the Tabriz road Two girl students died in the accident and more were injured.